You are here: Home / Crap Shoot / Cornucopia of Free Stuff! Free Stuff from The History Channel! We mentioned the Memorial Day Premier of Gettysburg on The History Channel the other day. Looks like a great documentary and we’ll be watching for sure. 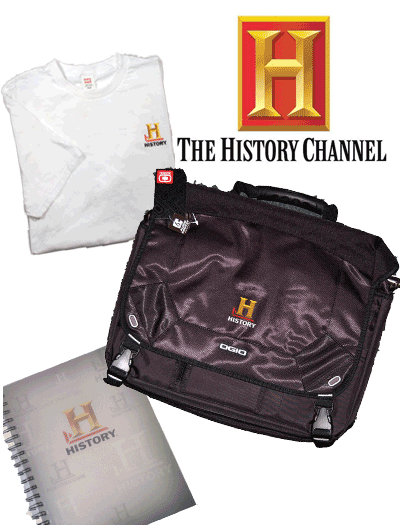 Thanks to the good folks at The History Channel, we’ve got some free History Channel stuff to give away! Messenger bags, t-shirts, and notebooks. To win yours, just Like us on Facebook, write on our wall, and tell us if you’ll be watching Gettysburg Monday at 9pm Eastern! Cornucopia of Free Stuff From The History Channel!